A summit of foreign ministers in Paris today (June 3) hopes to revive Israeli-Palestinian peace talks which stalled in 2014. The meeting was set to include the Middle East Quartet: Russia, the EU, the US and the United Nations; as well as the Arab League, the UN Security Council and about 20 countries. There will be no Israeli or Palestinian participation. Israel says only direct talks with the Palestinians can bring peace. 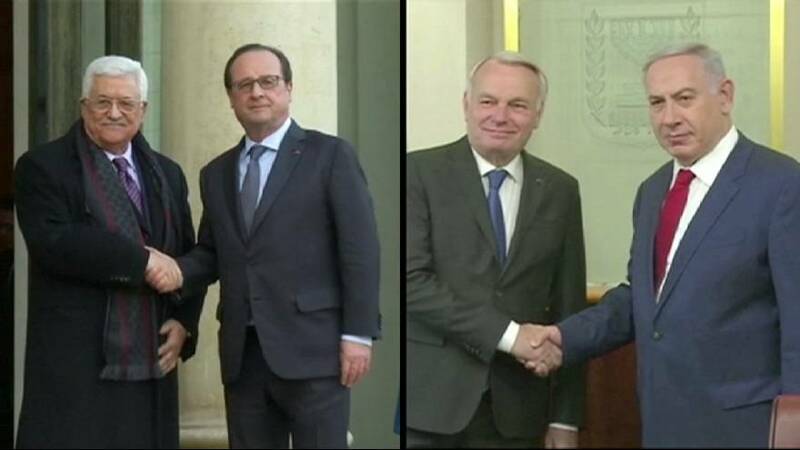 Palestinians have welcomed the French initiative. Palestinians fear that Israeli settlements could deny them a viable state. Israeli prime minister Benjamin Netanyahu says he is willing to make concessions, but Israel intends to hold on to major settlement blocs in a possible land-for-peace deal.